THE MINISTER FOR Justice Alan Shatter has said he hopes that lawyers threatening strike action this coming week will call off their proposed walkout over legal aid fees. As the Irish Independent reported yesterday, criminal law barristers and solicitors are planning to withdraw services this coming Thursday in protest at likely cuts to the Criminal Legal Aid scheme which is expected to run €10 million over budget this year. The Department of Justice says that the budget for Criminal Legal Aid this year was set at €47 million but it is estimated that it will exceed €57 million, with the cost being met by money taken from other sectors of the department. With the expectation that the scheme will see further cuts in this week’s budget, a strike has been called by the Criminal Law Practitioners Organisation (CLPO) which was set up earlier this year to advocate for solicitors and barristers who practice in the Criminal Courts of Justice in Dublin. They argue that a 10 per cent reduction in legal aid fees will see defence lawyers earn less than prosecutors. In a statement issued by the Department of Justice today, the action of the lawyers is described as “extraordinary” and a call was made for the CLPO to furnish the Minister with its proposals for reducing the cost of the Criminal Legal Aid scheme. The organisation claims that Shatter has refused to meet with them but the Minister said in a statement today that he was prepared to meet them even though “the Criminal Law Practitioners Organisation was only formed in September and the extent of its membership is unclear”. The CLPO’s planned strike action does not have the support of the Bar Council or the Law Society but the Irish Independent reported yesterday that major criminal law firms in the city are behind the walkout this Thursday. 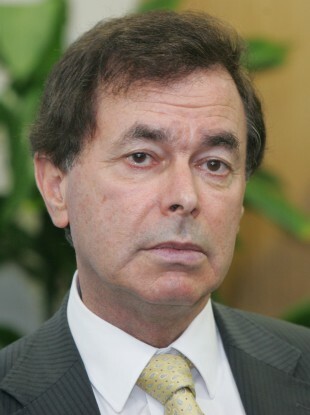 Email “Shatter hopes lawyers will call off 'extraordinary' strike action ”. Feedback on “Shatter hopes lawyers will call off 'extraordinary' strike action ”.